Two ex-internationals, Bright Omokaro, and Uduka Ugbade, on Tuesday, said the late Taiwo Ogunjobi, former Secretary-General, Nigeria Football Federation (NFF), lived for football. Ogunjobi died at the University of Ibadan Teaching Hospital (UITH) during a brief illness aged 65. The late former NFF scribe played for the defunct WNDC now 3SC of Ibadan. Ogunjobi, before his demise, was the Chairman of Osun State Football Association and had a career spanning over 20 years in football administration. Speaking with the News Agency of Nigeria (NAN) in Lagos, they said his death was unfortunate and a colossal loss to the football family. Omokaro, known in his playing days as “Mr 10-10”, described Ogunjobi as a rare gem who lived for the game of soccer. “I played with him at the early stage of my career; he lived for the game as he thought me a lot of things while we played together and he was my coach at some point. 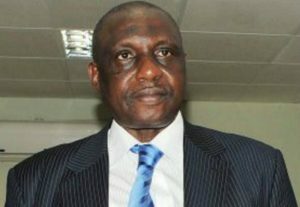 “Death we all know is inevitable; Ogunjobi was not just a footballer, he was a stakeholder that understood all the intricacies of football. “I pray God to grant his family and loved ones the fortitude to bear the loss,” Omokaro said. Ugbade told NAN that though football lovers might have lost Ogunjobi, his legacies would be enough to console them. “He is gone but his mark in football will never be forgotten particularly in 3SC FC of Ibadan. “He was a great captain for the club and he was also a fantastic administrator. “His legacies will live on; it’s sad that he died at 65. I know how difficult it is for a loved one to die. “But we have to take solace in the fact that he has gone to rest, away from the troubles in the world,” Ugbade said.